Picking the right night vision device can be hard. After all there a literally hundreds of options to choose from. After testing what has seemed like a never-ending supply night vision devices over the past year, we have narrowed it down to the top 12 night vision goggles. In this Firefield FF24125 Spartan Night Vision Monocular Goggle review, we are going to show you why this device made our list. We had the pleasure of testing out The Firefield Spartan 1X24 Night Vision Goggle (Click here to check price on Amazon). This night vision device provides hands-frees free viewing through the Spartan 1×24 night vision monocular. We were expecting a lot out of this NVD based on our great experiences with the Firefield Nightfall 2. The Spartan combines the quality that comes with a Firefield product with the exciting convenience of hands-free night vision with the quality and value that you get with a 1×24 monocular. The Spartan 1×24 monocular has no magnification so that users can see a crisp and clear image with no distortion or change in depth perception. The Spartan 1×24 monocular is a generation 1 night vision device. This monoculars newly developed lenses significantly maximize light amplification through it’s improved frequency and contrast. One of the things we liked about this NVD is its small and compact design. 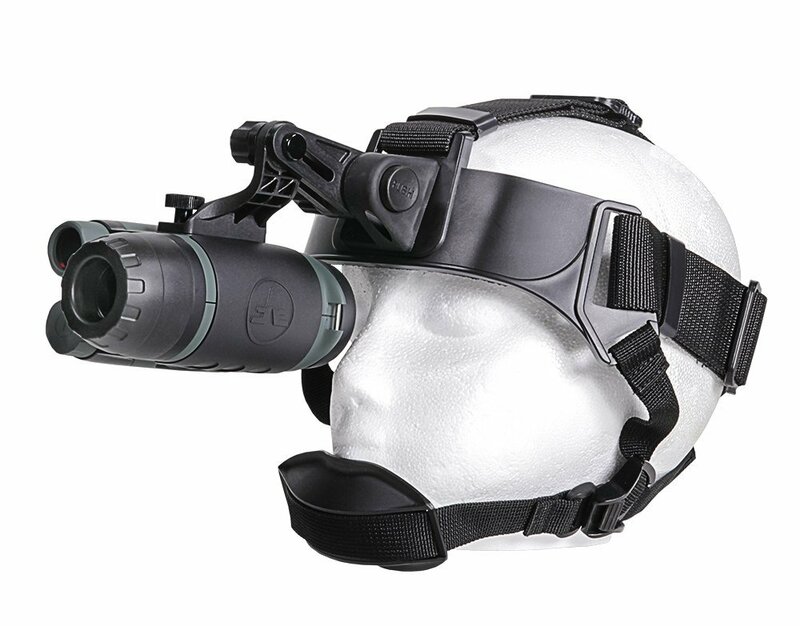 The Spartan night vision monocular is secured to the head gear by a mounting system that sits easily and comfortably on the front your head strap so that you can flip it up when it’s not in use, then flip it back down whenever you need it. They really designed this monocular with versatility in mind. Something to keep in mind before purchasing this night vision monocular is that the Spartan head mount is designed to be used with your right eye, so if your left handed or you need to use your left eye this may not be the device for you. Another thing we really liked about the spartan is how its rubber armor body protects the whole unit from dust, dirt, and moisture. This makes this a great device for a wide range of night activities such as night hiking, night fishing, or night hunting. The Spartan 1×24 also features separately activated Pulse system IR illuminator that uses a pulsating infrared beam to enhance night vision viewing capabilities. The monocular is also easily detachable for handheld use. A: No! They are extremely lightweight and versatile. Q: Are the Firefield FF24125 waterproof? A: Yes. It is also dust and dirt resistant! Testing this monocular was great. We loved the fact that it was detachable which expands the possibilities. We think the spartan 1×24 is a great device that you can use for just about any night time activity you can think of that doesn’t require magnification. 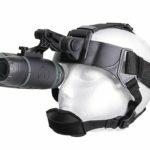 If you have found this Firefield FF24125 Spartan Night Vision Monocular Goggle Review useful, please take a moment to share this post with your friends.